iTek IT Solutions Limited operate only a call-out or collect and repair computer repair service – which is able to reduce the costs necessary by preventing the need for a publically available building. 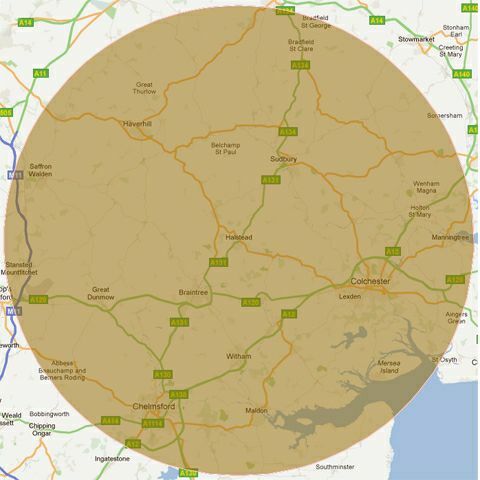 By limiting our catchment area to Halstead, Essex and Surrounding areas only, we made a wise decision – keeping it local, keeping transport costs to a minimum and ensuring low prices for clients. Areas covered are Halstead Computer Repair, Halstead PC Repair, Halstead PC Repairs, Braintree Computer Repair, Braintree PC Repair, Braintree PC Repairs, Sudbury Computer Repair, Sudbury PC Repair, Sudbury PC Repairs, Colchester Computer Repair, Colchester PC Repair, Colchester PC Repairs, Chelmsford Computer Repair, Chelmsford PC Repair, Chelmsford PC Repairs, Castle Hedingham, Sible Hedingham, Gestingthorpe, Great Maplestead, Little Maplestead, Little Henny, Finchingfield, Thaxted, Wethersfield, Great Bardfield, Cressing, Black Notley, Springfield, Great Yeldham, Ridgewell.